At Lee Law, in Ponce City and Stillwater, we plan our cases well and aggressively defend them. Our skill in the legal field stems from using our training strategically to resolve your legal issue in the best way possible. See for yourself the difference that knowledgeable legal representation makes in your case. Both Oklahoma raised, our attorneys Wayne and Paige Lee both graduated from Oklahoma City University School of Law. For nearly 50 years of combined experience, each attorney has earned a reputation for leadership in the legal community. They both teach seminars to other legal professionals in their respective practice areas. 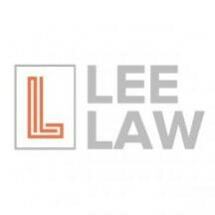 All of our staff at Lee Law are friendly and approachable. We are available to help you pursue the best solution to your legal issue as quickly as possible. With two convenient locations in Ponca City and Stillwater, we are well postioned to serve you.